We’re still a little ways off from the debut of Bandai Namco’s Jump Force, the publisher’s latest multi-man brawler based on the legendary Shonen Jump IP library. As the character reveals have been fairly steady, one part of the game that has been relatively quiet is transformations. We’ve seen powered-up forms for Luffy and Naruto, but Goku, who technically starts powered-up anyway if we’re being honest, hasn’t changed form in the game yet. Now he has! Via Twitter, Bandai Namco confirmed that Goku will be able to transform to Super Saiyan Blue form, which is actually kind of outdated at this point on the ever-expanding Goku Transformation Scale. That said, it is certainly the most popular and currently recognizable form of Goku, as “Ultra Impact” is still relatively new. The render, which you can see above in cropped form, looks pretty good, showing of the more “realistic” visual style of Jump Force quite well. Also pictured is Luffy in his Gear Fourth form, and Naruto in his Six Paths form. Presumably transformations will be a big part of Jump Force, although it hasn’t been guaranteed that every character will be able to transform, either. 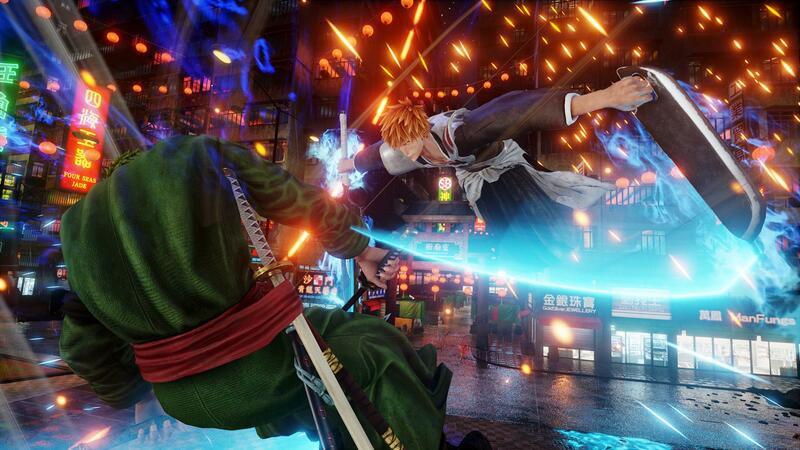 While still without a specific release date, Bandai Namco currently has Jump Force penciled in for 2019 for the PlayStation 4, the Xbox One, and the PC.